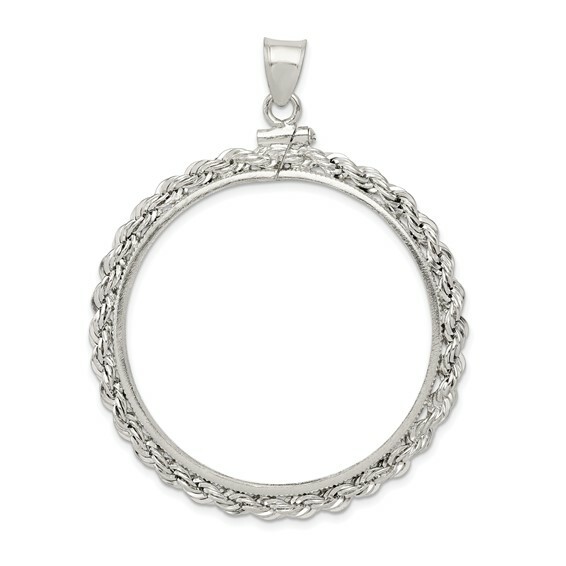 This American dollar rope coin bezel pendant is made of polished sterling silver. Screw top. Dimensions: 38.2mm x 2.8mm. This bezel fits Liberty and Morgan dollars. COIN NOT INCLUDED. Weight: 6.3 grams. Made in USA. Ordered 4 gold bezels and chains but the silver set was my favorite. Just gorgeous. Now I'm going to buy a set for ME! Very nice, good quality unfortunately it did not fit the coin i wanted to use it on. 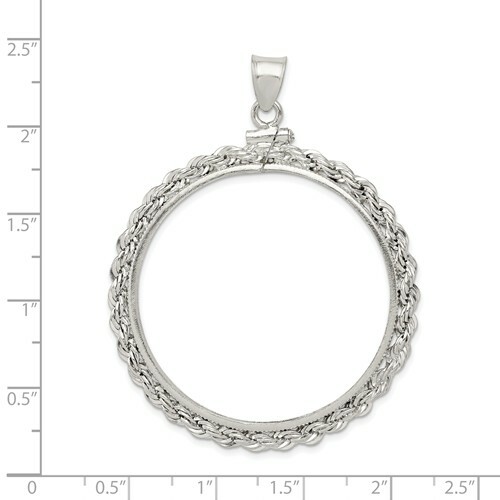 This beautiful sterling bezel now holds one of the silver dollars my father collected. It displays it very well, and I can wear a great reminder of my wonderful father.